You knew this was coming at some point! We're so excited to bring Renaissance to Zendalas! 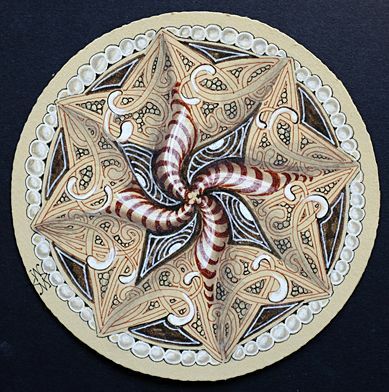 Take a look at some examples of what can be done with these Renaissance Zendala tiles. From Molly . 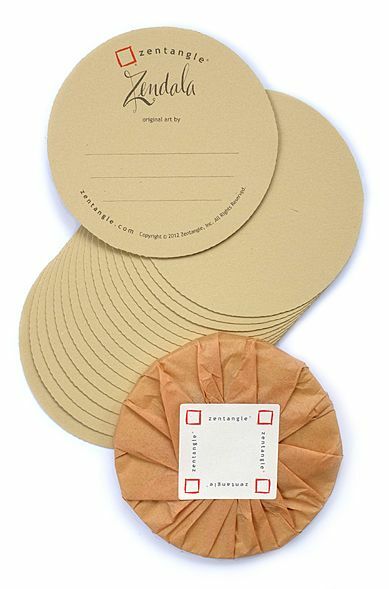 . .
We look forward to seeing what you will create using these tan Renaissance Zendala tiles! The elegance of Renaissance tiles is that you can add both light and dark to this museum quality archival paper. 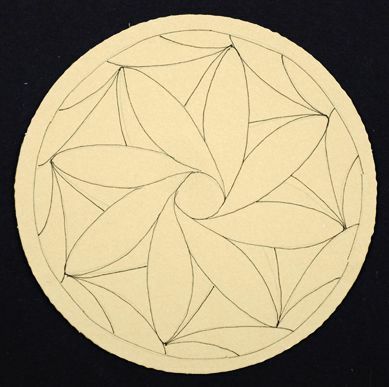 For more information on working on these "RenZen" tiles, see this newsletter and contact a local CZT for a class. Just how many pre-strung Zendalas ARE there? What do you do when you've used all nine Zendala string patterns? With your pencil, combine some of the smaller spaces to larger ones to create a new string. First, figure how many times the string pattern repeats in a particular Zendala string - 4, 5, 6, 7, 8, etc. Pick a line and emphasize it slightly with a pencil. Then emphasize that same line in each of those repeating sections. Now, pick another line and repeat. Keep going until you have a new string that you like. Sometimes you want larger spaces, sometimes smaller. For this exercise, I began with this Zendala string . . .
Our daughter Molly often begins with a Graphic 1 pen and fills in one (or a combination of 2 or more) spaces in each of the repeating sections. Once this ink dries, she tangles that new space with a white Gelly Roll pen. Then of course there is always the blank Zendalas, where anything goes! There are WAY more than just nine strings in a Zendala tin! We are thrilled to announce that the Kripalu Center for Yoga and Health has invited us to present "A Zentangle Weekend." 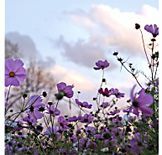 This event will be held September 5-7, 2014, at Kripalu's world-renowned retreat center located in the beautiful Berkshire Mountains of western Massachusetts, USA. We are looking forward to a relaxed and fun time together as we share and explore all things Zentangle. We'll supply everything you need. The weather this time of year tends to be just about perfect. That picture above is the view from the front of their main building. 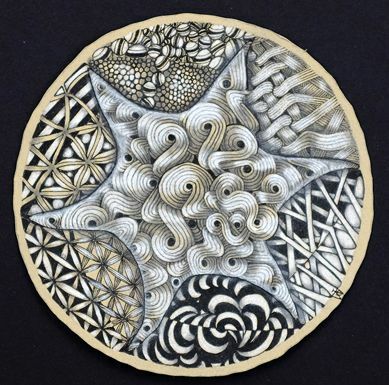 You will enjoy a unique opportunity to explore the Zentangle Method and Artform in a workshop taught by its founders. We haven't done a workshop like this before and we don't have anything else like it scheduled. This weekend will be an easy-going time with plenty of opportunity for personal interaction at a beautiful facility with awesome food. Register for this one-of-a-kind event at this link. Please note that this is not a teaching certification class. It is also likely to fill quickly, so if you'd like to enjoy this weekend with like-minded people in an exquisite setting, please register right away. 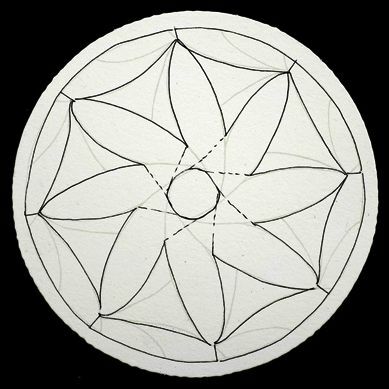 When we first came up with our idea that became the Zentangle Method and Art Form, Maria and I traveled to western Massachusetts. We stayed a couple days in a B&B so we could focus on writing down our thoughts. One afternoon we took a ride to Kripalu. I had been there before and thought it might be a good place to teach a class. I showed Maria around and pointed out their large hall as an ideal location. Guess where we're having our Zentangle Weekend? Yup . . . that very hall! 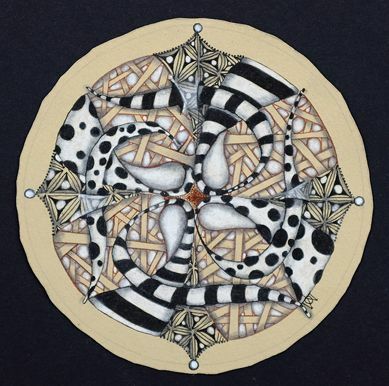 Thank you so much for sharing in this Zentangle adventure with us. We look forward to seeing what you create with our new Renaissance Zendalas. 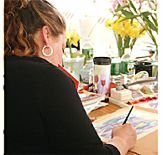 And we particularly look forward to getting to know you at a fun and creative Zentangle Weekend at Kripalu.